While I have grown much more accepting of a multitude of vegetables since college, one thing that seemed to always elude me was green beans. The last few years of culinary exploration hadn’t left much that I still didn’t like, but green beans had always been one of them. That is, until one fateful night when my wife ordered the blackened green beans at Interstate Draft House. Interstate has always been a local go-to, feeling a bit dive-y but always having good beer and above-average food. Their burger is excellent, the brisket sandwich is always an option, and the Frito pie, when available, is top-notch. But the one thing that is never up for discussion is the green beans. 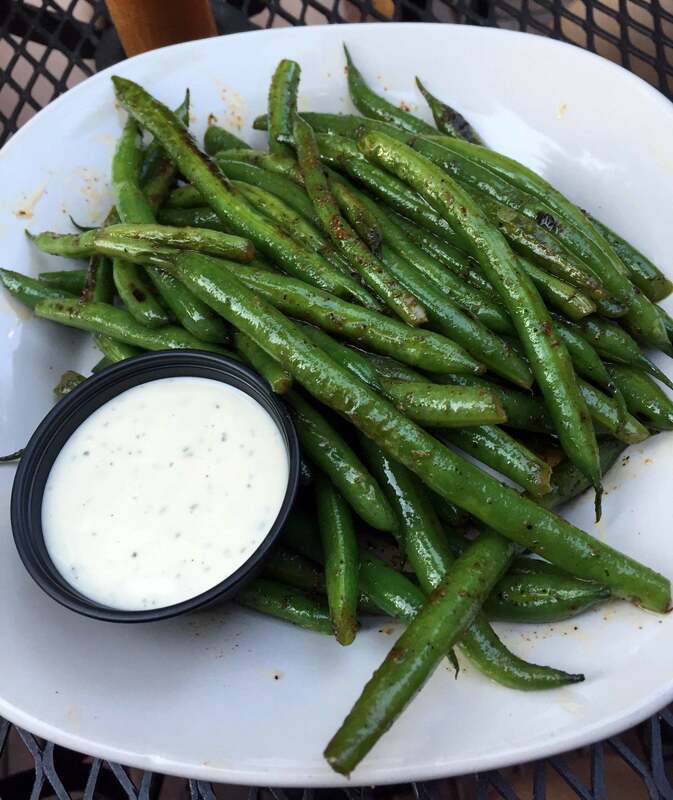 It may have been the house-made Ranch dressing that first drew me to them—I’m a sucker for anything dipped in Ranch—but even the green beans on their own are excellent. They have bits of black on them from the high-temperature cooking, which cooks them through but still leaves a nice crunch on the beans. Add to that an enticing mix of spices that adds to the flavor whether or not you’re using the Ranch (the dressing pairs perfectly with the spice mixture) and you’ve got the perfect way to get your allotment of vegetables for the day. And with a solid beer, no less. This entry was posted on October 12, 2015 by Ryan in PHL Favorite and tagged beer, green beans, interstate, ranch.